Are you thinking about renovating one or more rooms in your home? You probably have so many thoughts buzzing around your head right now. 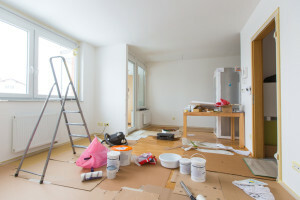 Aside from figuring out exactly what you’d like to accomplish, there are so many other important decisions to be made – hiring contractors, selecting paint colors and flooring materials, etc. But there’s one essential task that you mustn’t put off for even one more day: Make sure your entire property is checked for hazardous materials before any demolition or remodeling begins. Why should you make this a top priority? This is important because many homes contain lead and asbestos, which if released into the air, can be inhaled and lead to serious harm. Exposure to lead has been linked to developmental problems, especially in young children, and asbestos exposure has been discovered as a cause of diseases such as mesothelioma and asbestosis. Lead paint is often the culprit of lead poisoning, but it can also be found in contaminated soil and water. Even though the Environmental Protection Agency banned the use of lead paint in 1978, nearly 64 million buildings located throughout the US that were built prior to that time still contain this harmful material. During a renovation, the lead paint will be disturbed. Lead paint chips can be ingested by small children who play on the floor, and lead dust can be inhaled by anyone in the area. Give H2 Environmental Consulting Services a call at (800) 524-3578 and we’ll schedule a complete environmental evaluation of your property at your earliest convenience. We’re your local Chino-based environmental consulting company that’ll gladly handle all your environmental testing, remediation, and management needs. Our goal every day is to improve the health and safety of all Californians in their homes, schools, and workplaces. We particularly specialize in Indoor Air Quality (IAQ) because we’re all impacted by the quality of the air we breathe each day. H2 Environmental Consulting Services has been serving California for over 24 years, so we have the experience and expertise to handle all your needs. Please call us at (800) 524-3578 to schedule a consultation today. Don’t touch that hammer until you call H2 Environmental Consulting Services at (800) 524-3578! We want to make sure your property is safe so you won’t have to stress out about harmful materials during your renovations.